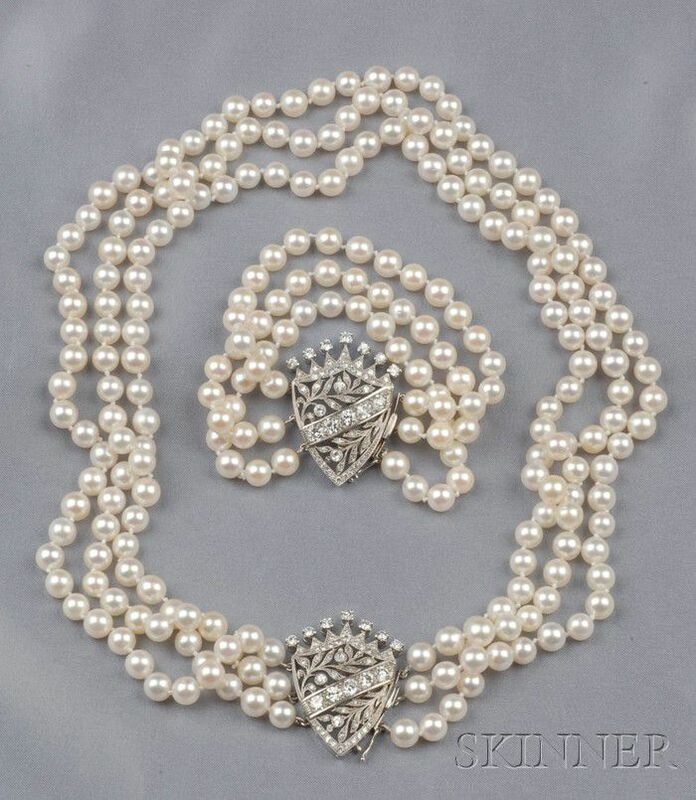 Cultured Pearl and Diamond Convertible Suite, the triple strand pearl necklace composed of cultured pearls ranging in size from approx. 6.50 to 7.00 mm, with two shield-shape platinum and diamond bosses, approx. total wt. 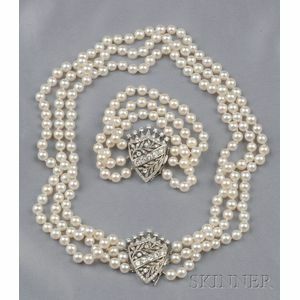 4.00 cts., converting to a necklace and bracelet.